Sebastian Kurz, Austria’s 31-year-old migration hardliner and former foreign minister, is due to be sworn in as chancellor on Monday, heading a coalition with right-wing populists that has stoked fears of an anti-EU shift in national policy. Kurz, head of the conservative Austrian People’s Party (OeVP), is due to be sworn in by President Alexander van der Bellen, becoming the youngest head of government in Europe. Kurz’s deputy will be Heinz-Christian Strache, the head of the Freedom Party (FPOe) populist movement, who has honed his political message in recent years, using more measured language to promote his anti-immigration policies. Kurz and Strache’s five-year cooperation plan will focus on tougher migration policy, tax relief and reducing bureaucracy. 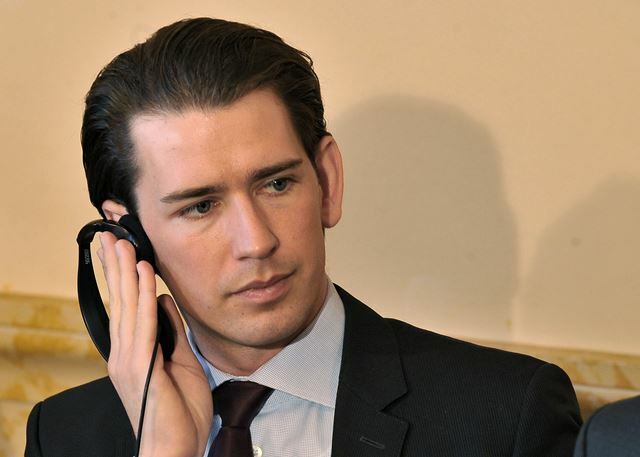 Kurz also committed Austria’s new government to a pro-European stance after the FPOe repeatedly attracted attention with statements critical of the EU during the election campaign. A referendum on Austria’s potential withdrawal from the European Union – something plausible for the FPOe – has been explicitly banned during the government term as part of a 180-page coalition pact. Kurz’s OeVP and Strache’s FPOe published the pact on Saturday, outlining Austria’s steadfast commitment to the European Union and its participation in other international organizations. “Only in a strong Europe can there also be a strong Austria in which we have the ability to use the opportunities of the 21st Century,” the pact’s prologue read. Kurz has chosen Brussels, the seat of the European Union, to be his first destination after the inauguration. The European Commission confirmed his intention to visit the Belgian capital on Tuesday.